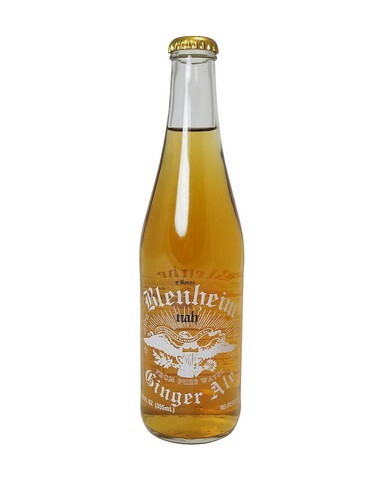 FRESH 12oz glass bottles Blenheim Not as Hot Ginger ale with SUGAR!!! Blenheim's #5 formula is little bit milder, but still retains that powerful burst of ginger personality that Blenheim fanatics crave. Their secret recipe balances the fiery soul of the ginger with a succulent blend of sweetness to produce a perfectly balanced ginger ale.